This is a posting using Zoundry Blog Writer. 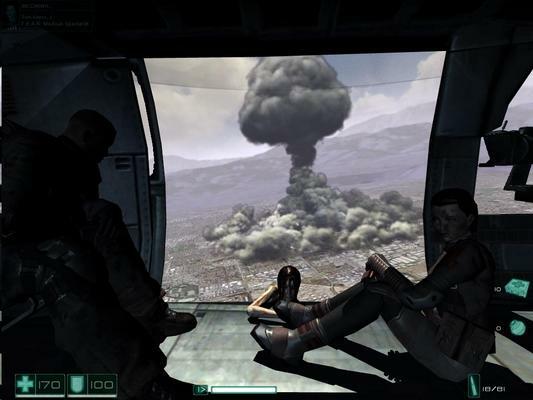 The picture on the side was taken in the F.E.A.R. game at the end. This is me playing with the picture placement within Zoundry Blog Writer Lite. A few days ago I put in a lengthy blog entry about using the Apache module mod_layout. I wrote over a thousand words and the posting ate up most of the web page. After looking around I found this plugin for WordPress called PostTeaser. This plugin takes the posting and truncates it after a set number of words (defaults to 100 words) on the main web page. At the bottom of the preview it puts a link so you can go directly to the posting. That plugin keeps the blog organized and presentable. I have also been playing with windows applications for posting blog entries (see below). Right now I think that I am really choosing between BlogJet, Zoundry Blog Writer Lite, and just sticking to the ‘Write Post’. BlogJet works really well, but for some reason when it publishes it posts to a different timezone (GMT I think, I am EST). It’s simple, I can (and have) modified the html code it generates by hand. The timezone thing is weird and I am sure that it is because I have not read the manual. If I can’t figure it out I’ll just e-mail the author. My lengthy apache mod_layout post was made using Blogjet. Zoundry Blog Writer Lite looks really slick. I played with the picture insertion and editing, it does multiple pingbacks, etc. I need to play with it some more, and see which one I like.